Not only is February Low Vision Month that we discussed last week, but it is also Age-Related Macular Degeneration Awareness Month as well. Yes, that is certainly a mouthful…but an eyeful too. 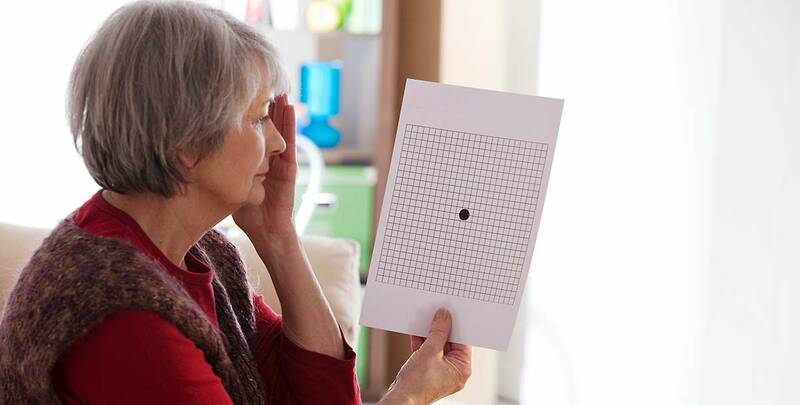 ARMD is the leading cause of central vision loss in Americans over 50 years old. Age: Affects more than 2 million Americans over 50 years old. Prevalence of ARMD in the USA is around 6% when 65 and almost 20% when 75 years old. UV light – no significant proven risk but caution and sunglasses advised. Macular degeneration is irreversible. However, caught early, there are treatments that can greatly slow the progress of ARMD. Schedule an eye exam with us soon to see if you have any symptoms of ARMD before it’s too late.